Despite recent travel disruption due to Eyjafjallajökull, those of us marooned in the UK and Ireland have enjoyed lovely sunny weather. It’s the perfect excuse to take a road trip, wouldn’t you agree? With Google Maps Navigation (beta), now available in the UK and Ireland for Android devices 1.6 and higher, traveling by car couldn’t be easier. 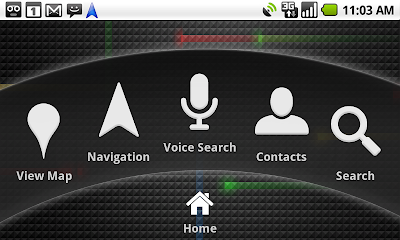 Like other satnav devices, Navigation includes 3D views, turn-by-turn voice guidance, and automatic rerouting. But because Google Maps Navigation is connected to the Internet, it also features powerful functionality you can’t get from other satnav services, including the most up to date map, business, and traffic data, access to satellite and street views, and of course, search. With Google Maps Navigation, you can search by voice, and in plain English -- just press the voice search button on your Android phone, say “navigate to Sainsbury’s,” and Navigation will open automatically and guide you to the supermarket. Running out of petrol? You can search along your route for nearby petrol stations, cash points, restaurants, and car parks, without exiting the navigation path. 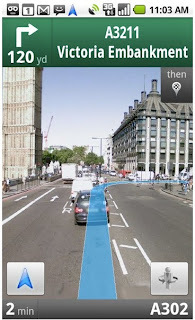 Google Maps Navigation is available in the US, UK, and Ireland. 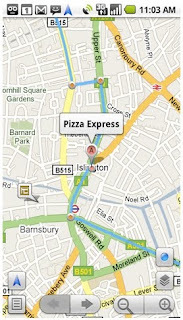 And like other Google Maps features, Navigation is free. To get Google Maps Navigation on your Android phone, search for “Google Maps” on Android Market and download the latest update. Visit the Google Maps Navigation page to learn more and watch a video, or check out the help center if you have questions. I'm glad to hear that the first countries in Europe are getting that service as well. The question I have: Is there a roadmap for the future rollout of that service? Which country is queued next? As like as David: when will it come to Austria? And when will it come to Singapore? Come on!! We need navigation over here too! Will Google be OpenSourcing this app? don't forget Australia, were already mapped. please sort out whatever legal issues are stopping you from turning it on here. that would make my day, and completely spoil Apple's.. Given that Android 1.5 market share has recently grown from about 25% to 38%, do you have any plans to support Android 1.5 for navigation? LOL poor Google. As soon as they announce something they are greeted with a quick "thanks" followed by a hasty, now give us more lmao. I guess that's what happens when you make amazing products. Don't worry Europeans, you'll all have Street View in about twenty years after Google has navigated your overbearing court system and your unwelcoming business atmosphere. That's fantastic, but where is the Australia support? The roads are all there, just flip a switch and turn it on. Give people another reason to switch to Android. I'm in Ireland and using a Nexus One. When I search the market for Google Maps its not listed. One more vote for Canada! Us Android users here in Japan are also waiting for this amazing feature. Please consider it Google. This is not available in ireland! Not even in the app market, please google make true on what you have advertised.. Waiting for Navigation in Switzerland... we are always the last... it's a bit disappointing! It is NOT available in Ireland's Market. "With Google Maps Navigation (beta), now available in the UK and Ireland for Android devices 1.6 and higher, traveling by car couldn’t be easier." Hasn't made it to Ireland as of 22/04/2010. Doesn't appear in my Market Place of my Samsung Galaxy Spica running Android 2.1. Maps came with the phone but I can't upgrade it in the App while Google Maps itself doesn't appear at in the Market Place at all as yet. Still not visible in the Market under Android 1.6 on a T-Mobile G1 in the UK. App now available in Ireland Market! Works perfect on Xperia x10!! Any votes for the Netherlands?? We were the first country where theLegend was on sale! Great app, this is the reason people are switching to Android. Thanks Google for fixing the release for Android users in Ireland. Appearing in the Market and installing fine. adzzup.com provides turnkey option for mobile (.mobi) friendly websites. works fine on my X10, but you can't do a voice search for navigation. Ah well. Please we need to know the roadmap for the other European Countries.